Rebecca graduated from the Connecticut Center for Massage Therapy in April 2006. She is nationally certified, licensed in Connecticut, and a member of the American Massage Therapy Association. Granddaughter of the late Dr. Joseph Kaplowe, a recognized authority in the field of homeopathic and natural medical techniques, Rebecca learned from an early age to respect the body’s ability to heal itself when nurtured. She has ten years of healthcare experience caring for surgical patients, and combines this knowledge with her genuine interest in the power of positive energy and “body wisdom”. She has been trained in therapeutic massage, deep tissue massage, sport massage and energy work. Rebecca looks forward to working with each client to customize their massage therapy session to their needs, and brings a contagious sense of well-being to each session. Her solid health care background assures meticulous attention to the patient’s health history and current health status. Rebecca’s healthcare experience with surgical and oncology patients, gives her a solid foundation in anatomy, physiology and pathology. She combines this knowledge with her own innate skill in relieving discomfort. 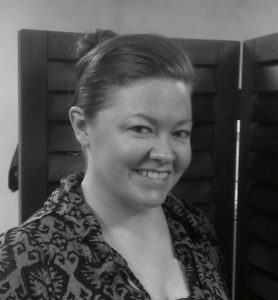 Rebecca’s goal includes expanding her repertoire of techniques to include advanced work in the area of deep neuromuscular massage.